ASTRONOID's 2016 debut record, "Air", was a dazzling effort that crept up on unsuspecting listeners, garnering a rabid cult following from those that discovered the band. With members of New England post-black metallers VATTNET VISKAR pulling double duty, ASTRONOID took the integration of shoegaze elements into black metal, popularized by acts such as DEAFHEAVEN, and turned that blueprint on its ear by leaning headfirst into the less abrasive side of that combination and embracing the sound's more melodic aspects. Beautiful guitar melodies from Brett Boland, Casey Aylward and Michael DeMellia and soaring clean vocals and catchy choruses from Boland melded with blistering compositional structures pulled from the proggier end of the black metal spectrum. The result was a diverse and exciting debut that stood out from the dozens of acts blindly mimicking well-worn sounds. 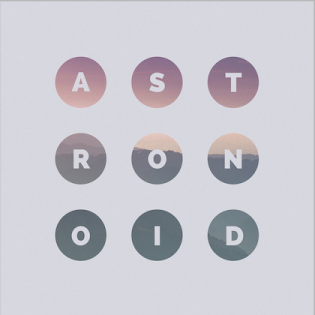 ASTRONOID manages to avoid the sophomore slump on its latest self-titled record. A near-replication of "Air" would have pleased those already converted, but here the group has tightened the songwriting and shorn the more sprawling aspects of its previous record. It's also steered heavier into the more atmospheric post- and prog-metal aspects of the group's sound. There is still plenty of power and speed on display, but those outbursts are crafted much more carefully this time around. "A New Color" opens the album with a barrage reminiscent of "Physicist"-era Devin Townsend with Boland, Aylward and DeMellia all contributing with moments of glorious guitar-shredding, as Boland provides vocals that emote soothing ethereal melodic tones. The most immersive display of power throughout the record though is Matt St. Jean's drumming performance. As the band's harmonies lull the listener into a sense of dream-like hypnosis, St. Jean jumps in with precisely executed double-bass pummeling, lifting tracks such as "I Dream in Lines" and "Fault". Second-half track "I Wish I Was There While the Sun Set" sounds as gorgeous as its title implies, but St. Jean's performance elevates the song into something memorable. That's not to say that the rest of the band doesn't shine throughout the record as well. The triple-guitar harmonies of Boland, Aylward and DeMellia are beautifully layered throughout the record, with not a single note wasted in the effort to provide engrossing melody and push the boundaries of the shoegaze aspects of ASTRONOID's sound. There are small moments that cross over into Brian May-territory, most notably on the opening track and "Breathe". The trio is also adept at moments of crunchy groove-riffs on "Water" and album closer "Ideal World", which ends in a display that is a contender for the most dazzling wave of guitar harmonics of 2019 so far. Bassist Daniel Schwartz is also a very crucial piece of the ASTRONOID puzzle. His role in the band is probably what grounds it the most with post-metal influence; his bass lines rumbling thickly underneath on tracks such as "Lost". ASTRONOID's self-titled record does a great job of expanding the sound the band first began exploring on its 2016 debut, while also reigning in some of the more sprawling excesses. 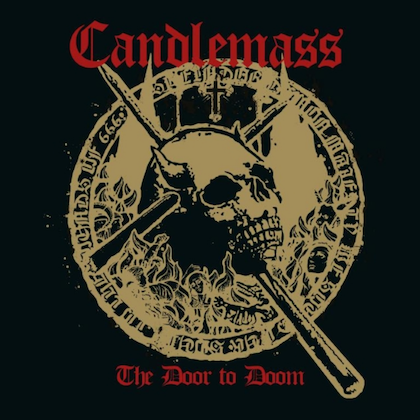 The final result is another great record on the melodic, life-affirming side of the metal spectrum.